Plantar fasciitis occurs in approximately 2 million patients a year. Happening when a strong band of tissue in the foot arch becomes inflamed, it is the most common cause of bottom of the heel pain. Whether moving around normally day-to-day or in rapid physical activity, the plantar fascia absorbs the high stresses from such activity. Since too much stress can overwhelm the plantar fascia, the body responds with the plantar fascia becoming inflamed. This results in heel pain and stiffness, and in extreme cases, the tissues can be damaged or torn. 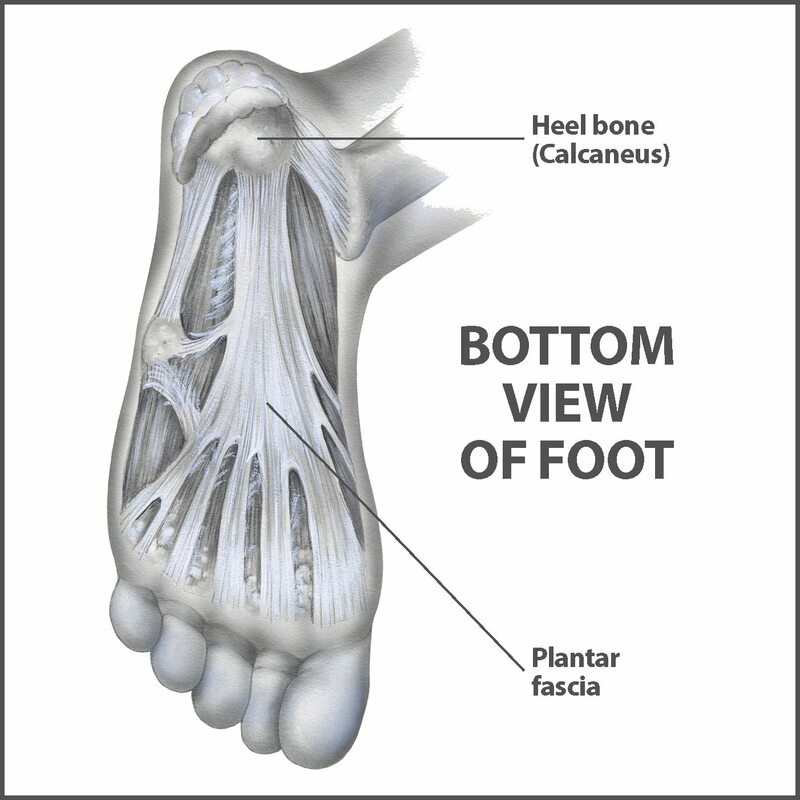 Unfortunately, heel spurs can occur in those who have plantar fasciitis. Heel spurs occur in 1 out of 10 people, with only 1 out of 20 people (or 5%) having foot pain. Despite heel spurs being linked to plantar fasciitis, they are not the cause of it. 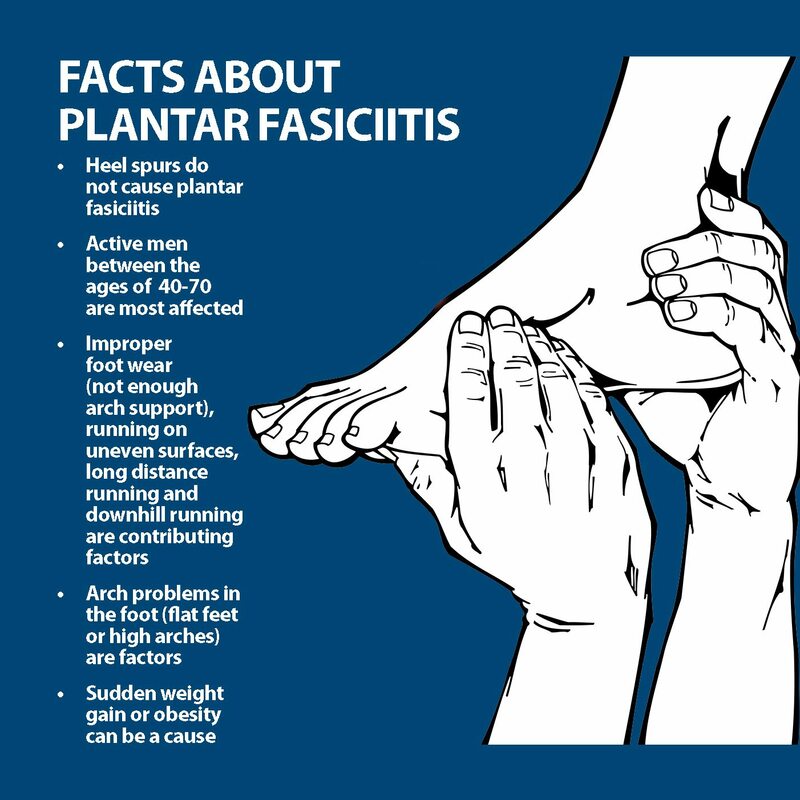 Luckily, the pain from plantar fasciitis can be treated without removing the spur. Your Florida Orthopaedic Institute physician will examine your foot and listen to your symptoms. They will also ask about your physical activity history. After the examination, your physician may order imaging tests to ensure that plantar fasciitis is causing the heel pain and not another issue. X-rays can provide clear bone images and allow for your physician to see if arthritis or fractures come into play. Heel spurs can also be seen on x-rays. Other imaging tests such as magnetic resonance imaging (MRI) and ultrasound might be ordered in the rare case that pain is not altered by treatment. Luckily, more than 90% of patients with plantar fasciitis will show improvement within a few months of treatment, which can greatly improve mobility. Rest: Although difficult, decreasing or stopping the activities that are causing you the heel pain will help reduce it. Stretching: Performing stretches such as calf stretches and plantar fascia stretches can allow for a better range of motion in the foot along with improved stability. Nonsteroidal anti-inflammatory medication: Drugs such as naproxen (Aleve) or ibuprofen (Motrin) reduce pain and inflammation. Ice: Rolling your foot over a bottle full of cold water or ice for 20 minutes each day can be effective in alleviating pain. Night splints: A night splint allows for the plantar fascia to be stretched while sleeping. Physical therapy: In the case that at-home exercises aren’t working, your physician may recommend seeing a physical therapist to continue to assist in rebuilding strength. Cortisone injections: Cortisone, a powerful steroid, may be injected into the plantar fascia to reduce pain. Supportive shoes and orthotics: Thick-soled shoes with extra cushioning can reduce pain with standing and walking. Gastrocnemius recession: A surgical lengthening of the calf. Generally due to calf muscle tightness, one or two of the muscles are lengthened to increase mobility. This can be performed with a small incision and an endoscope, which contains a small camera. Plantar fascia release: If your range of motion is unaffected, but you are still experiencing pain, your physician may recommend that the plantar fascia ligament is partially cut to relieve tension in the tissue. Florida Orthopaedic Institute’s trained physicians are experts in the latest foot and heel procedures and will speak with you to find a treatment plan that works best. Call today to schedule a consultation and get back to feeling better. John D. Ramirez, Jr., D.C.